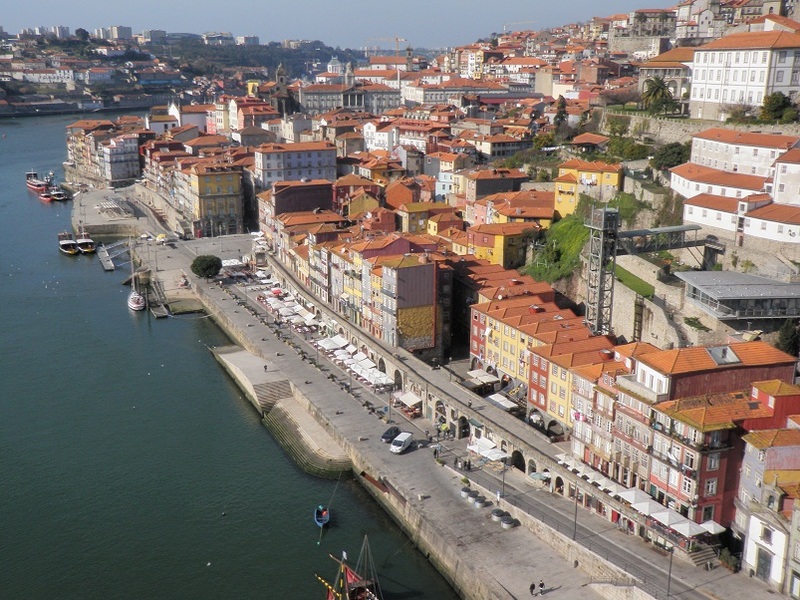 A recent trip to Aveiro in Portugal to attend an Organology Conference, we stayed in Porto and I was delighted in the overview of the city. Small streets line the banks of the river, an excellent river for kayaking from Spain which I will attempt later this year hopefully. 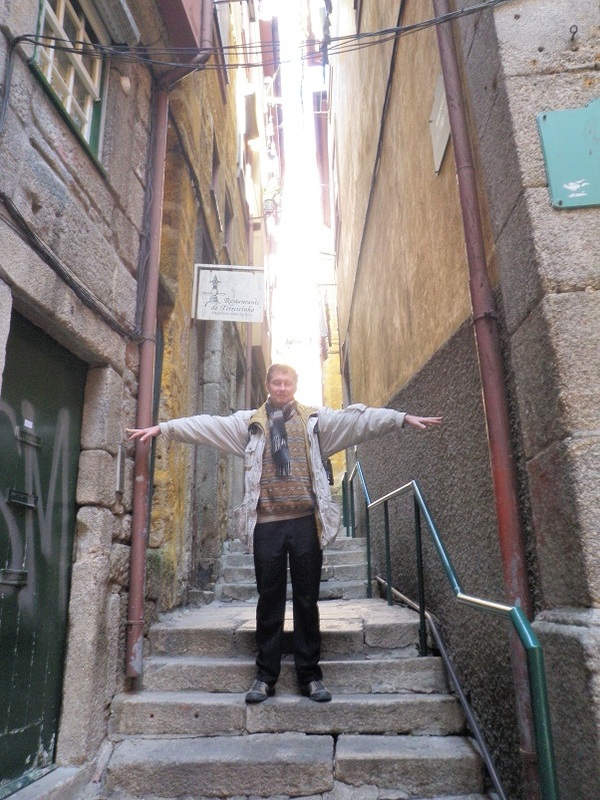 Porto has kept its old feel, small streets large enough to reach across and touch both walls. The harbour showed a history in the stone, and boats were there now for touristy purposes, but it added to a charm of the place. The old traditional boats next to the old harbour walls. 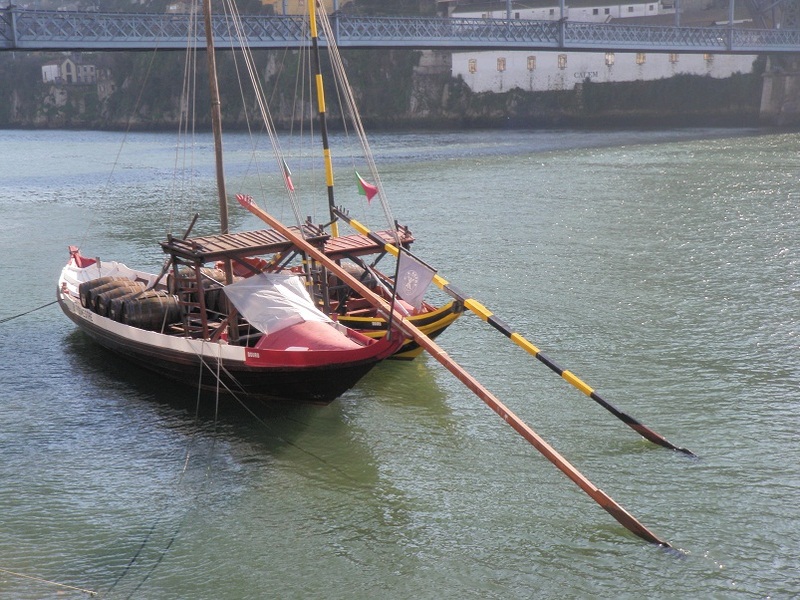 Long oars were used to propel the boats, but they can not have been for sea voyaging on the Atlantic. Brightly painted sterns. 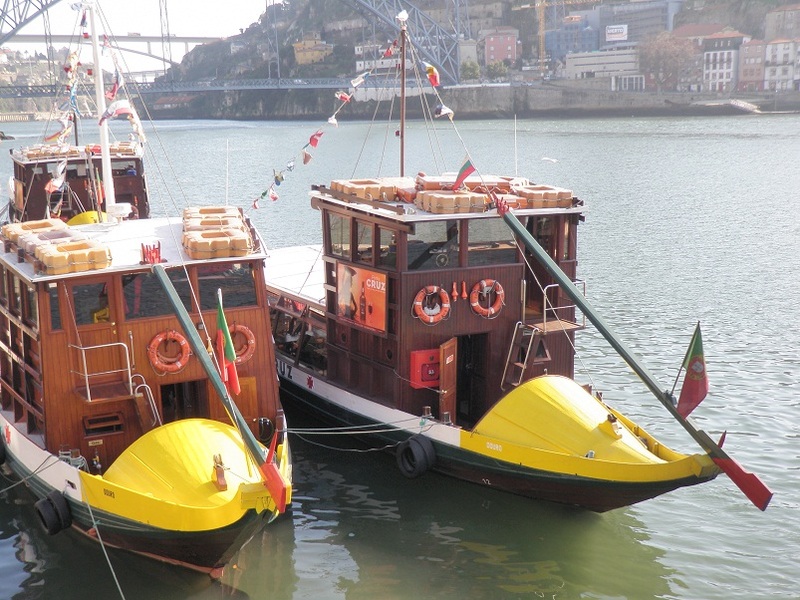 We did not see any sails in use, but in the summer the boats are used for transporting tourists. 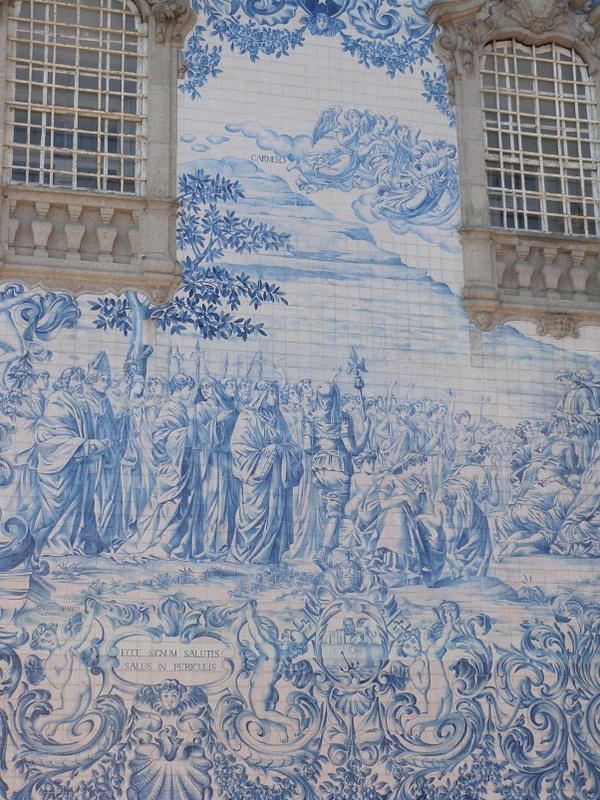 Portugal is well known for its coloured tiles on the sides of houses and churches, and railways stations.